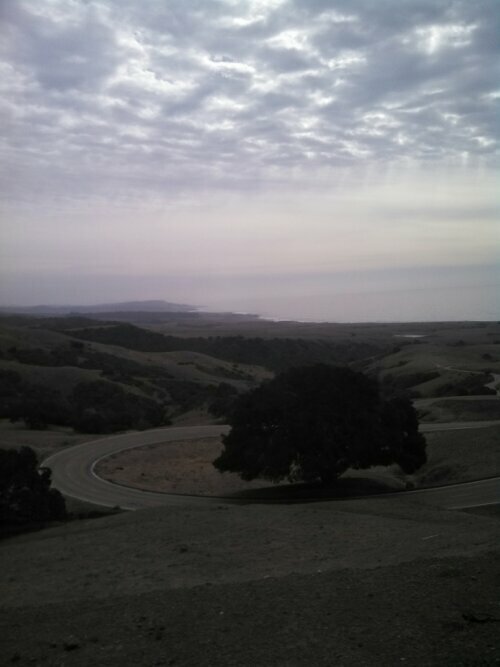 On Thursday I went up to San Luis Obispo with Cadillac, who had to do something for work (blah blah FINANCE blah blah audit). It’s about a six hour or so trip, so it was too far for a one-day trip and kind of far for a 2-day trip, but we did a 2-day trip anyway. Traveling at this time of year is hard because it’s multiple kid-sport season/finals/etc so we just stayed one night instead of trying to extend. 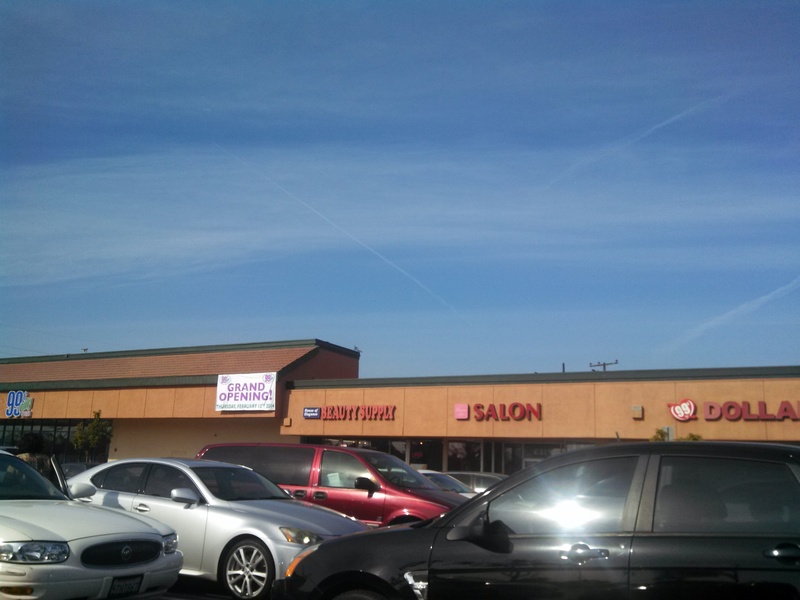 First we actually stopped in Carson, very very close to Compton, at a strip mall that had not one but two dollar stores. One was a Mom & Pop and the other a corporate one that just opened, which I assume will drive Mom & Pop out of business. Every store had bars on the windows. There was also a liquor store, two nail salons, a grocery store I’d never heard of, a beauty salon/supply, and a few other stores. But then you drive just a block down the road and it’s all gentrified with brand-new strip malls and new grocery stores and Starbucks and whatnot. Is that good? Where will the people who can’t afford the more expensive stores shop? Because you know the new/remodeled mall stores are charged more for rent. Then we continued driving. I was supposed to be reading a manuscript but I kind of gave up. Cadillac’s brother just got a new car, and I didn’t know what it looked like, so he pointed one out. “That’s the kind they got,” he said. A bit later we saw another one, in a different color. 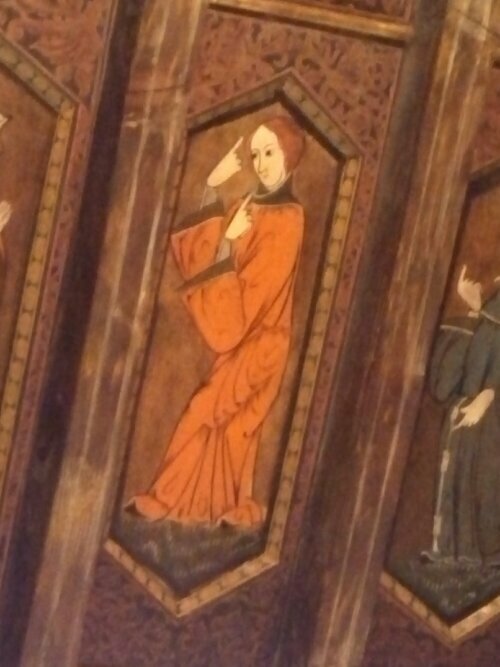 He pointed that one out too. And so on. He pointed out like 10 in two days and I suppose they will get pointed out to me until the end of time, along with certain types of Porsches and Lotus Elises and so on. 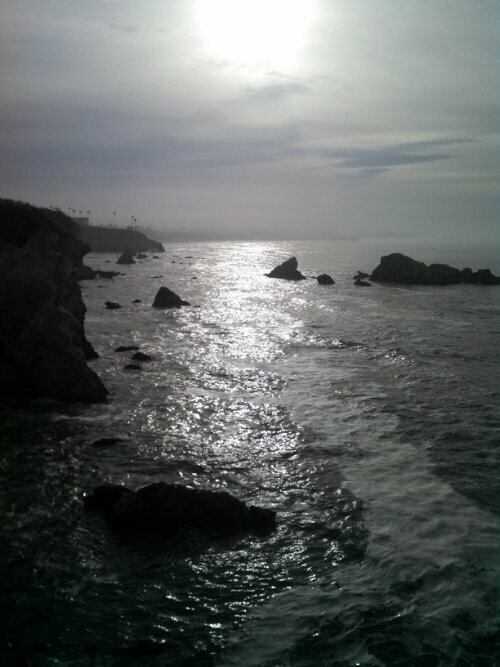 We stayed at a Best Western in Pismo Beach. It was the off season and though it was by the beach and we had an “ocean view” room, I sure did not expect a view like this. When I watch the ocean, I feel like I’m watching a movie that I can’t turn away from lest I miss something. The waves were high and all night it sounded like there was a windy storm, but it was waves crashing on sandstone cliff. Plus they had these towels. 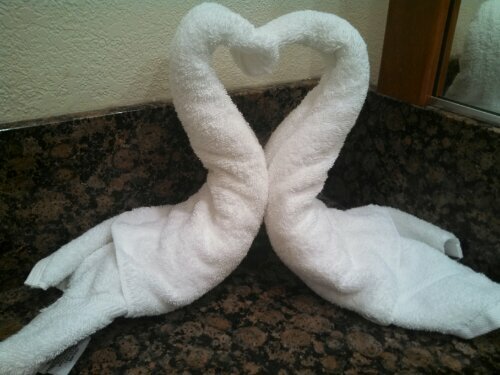 They are somewhat tweaked because I took towels out from underneath before deciding to take a photo. Cadillac actually called me into the bathroom to see them. The room was upstairs and had a nice vaulted ceiling. But the bed was Munchkin-short and our feet hung off. That was a bit weird. While he did his work thing in the morning, I hung out and took photos. Like this one, in the morning sun. 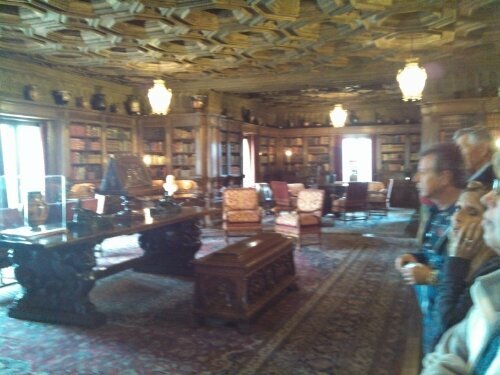 After his business was concluded, he came back and we drove up to Hearst Castle, about an hour north of there. Or more, depending on traffic and whether someone is driving like they’re on a tractor in front of you, which was often the case. Or less, if you drive like Cadillac and pass people in your rented 4 cylinder car by accelerating terrifyingly past long lines of cars (only where you’re allowed to pass, of course). And why do people go really slow, then when you try to pass, gas it? 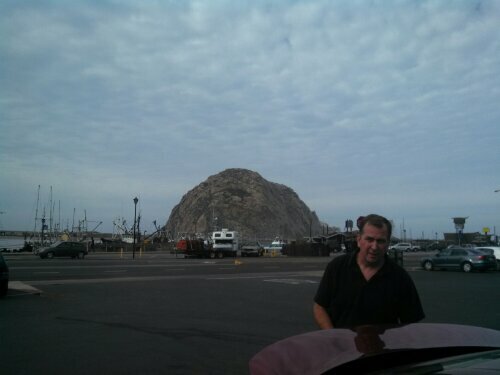 We stopped in Morro Bay for some food and I used my Yelp app to locate a place and found this one right by the rock. Morro Bay has this big old rock, for lack of a better term, and next to it, out of the photo, is some kind of smokestack operation. 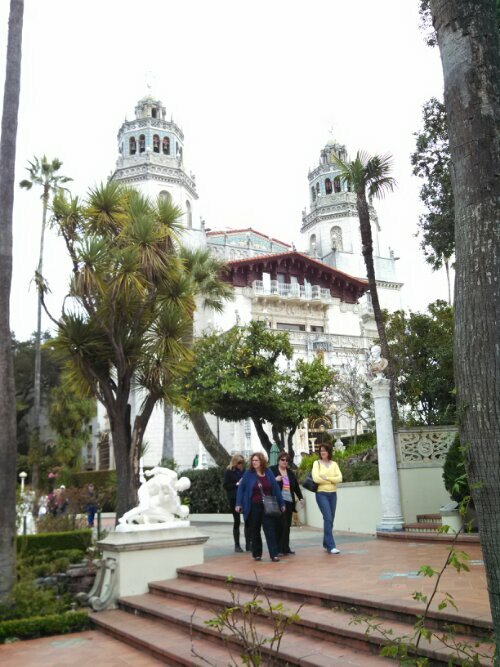 We arrived at Hearst Castle in time for our tour. There are several tours to choose from. 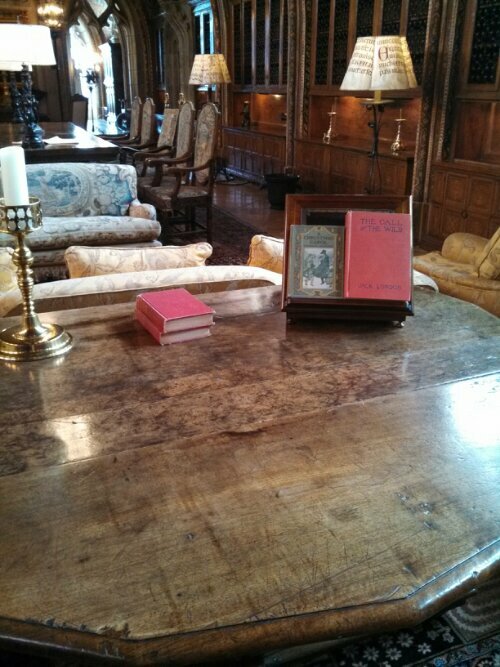 You can tour the downstairs Grand Rooms, the cottages outside the main house, or the upstairs room. I think there’s one other tour. You take a bus up this winding road to the mountaintop, which was exciting in itself because the tour bus driver was totally badass and we were teetering very near drop offs a few times. I think it’s like 80,000 acres now, and it boasts free ranging cattle and some zebras, a leftover from the zoo at the mansion. This is looking out the tour bus window, from the road, to the water. This is the poultry manager’s house, which looks pretty darn nice. Now people who work at the castle use it. They gave us wristbands with the name of our tour on them. There was an annoying couple on the bus who I thought were supposed to be on our tour– annoying because they kept telling us to turn off sound on our cell phones and the woman kept tweeting and texting and getting alerts– PING! PING! PING!– all the way up, plus she pushed her way in front of us getting off– and luckily they were actually on a different tour. Phew. 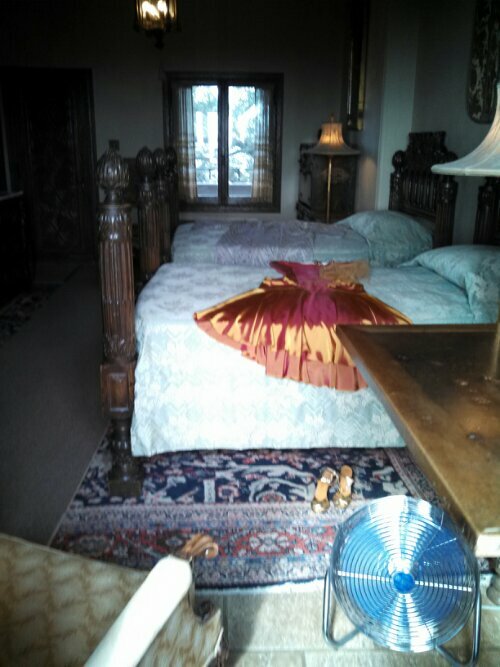 We did the Upstairs Rooms tour, the private rooms where guests and Hearst stayed. You’re supposed to be in relatively good shape for the tour because there are tons of spiral stairs, steep like a lighthouse. One guy bent over and wheezed when we got to the top, so that was alarming. 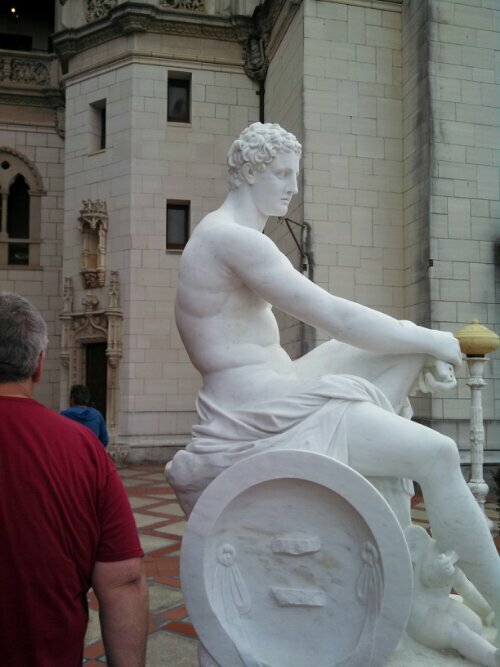 Our tour group asked some interesting questions, like how the estate was split up after Hearst died among his 5 sons; what happened to his mistress after he died; where Mrs. Hearst stayed when the mistress was there; etc. I mostly asked about art, of which there was a lot. One woman kept asking if we’d see a bathroom. The tour guide said later. But then whenever we went into a room, the woman asked, “Can we see a bathroom?” until it became the running joke. Finally we got to a room where there was a visible bathroom. They were marble bathrooms but they weren’t big, they were small and functional, even in the master. There’s a wing with an open-air hallway for the single people. Hearst would host Hollywood parties and movie stars would come up for the weekend (the guide named David Niven, Errol Flynn) plus various starlets/showgirls. 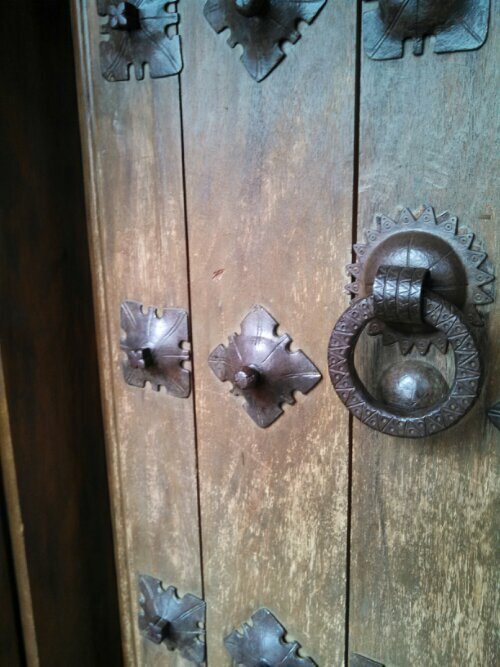 Detail from the door. I liked looking at all the scratches. One had vertical scratches down from the knocker and I imagined someone like Errol Flynn trying to get into the showgirls’ room and being denied and dragging his nails down the door. Obviously my favorite room was the library. Not only are there like (literally, I think this is the number) 4000 books, there’s a collection of actual Greek pottery along the tops of the bookcases. Not reproductions. Can you imagine staying at someone’s house and seeing such a vast collection of antiquities? 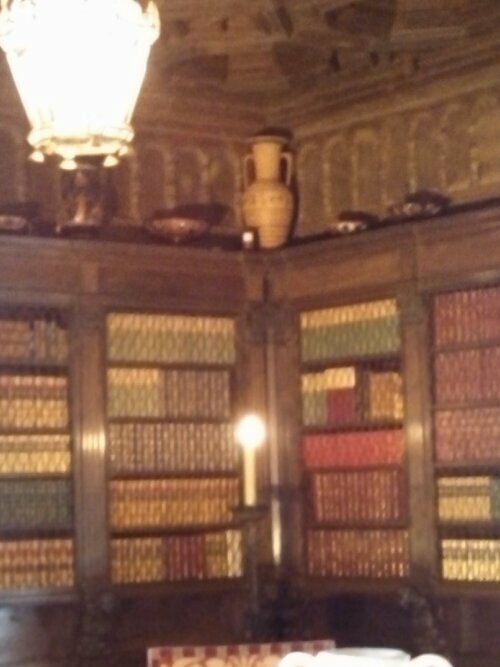 The guide said the pale colored vase in the corner is the oldest piece in the house, an ancient Egyptian piece found in Greece. 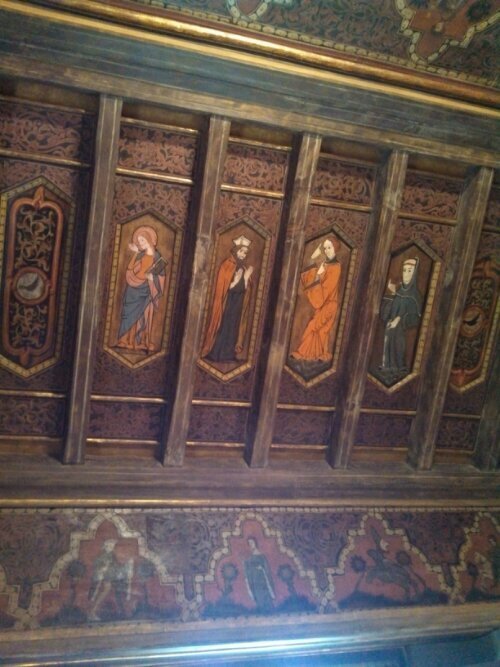 This is a 16th century Spanish panel on a bedroom ceiling. This is my favorite figure. Doesn’t she look all, “COME AT ME, BRO”? 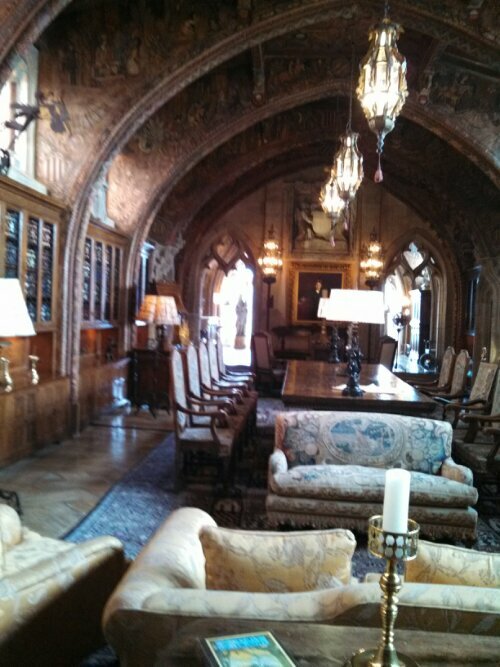 This is the “Gothic” room, where meetings were often held. Here’s a table with A CHRISTMAS CAROL (Dickens was one of Hearst’s faves) and THE CALL OF THE WILD. First editions? Why else would they be displayed? I didn’t get a chance to ask. The grounds are filled with statues. It was driving me crazy that there are no plaques telling you what is what. 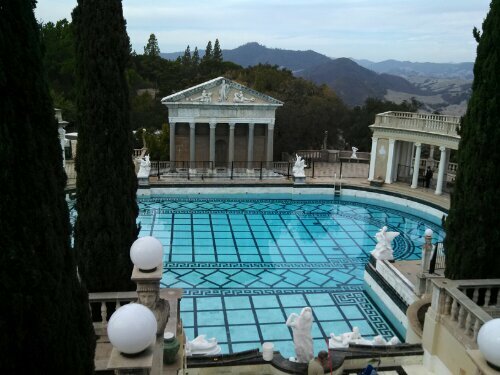 I wouldn’t mind swimming in the Neptune pool. 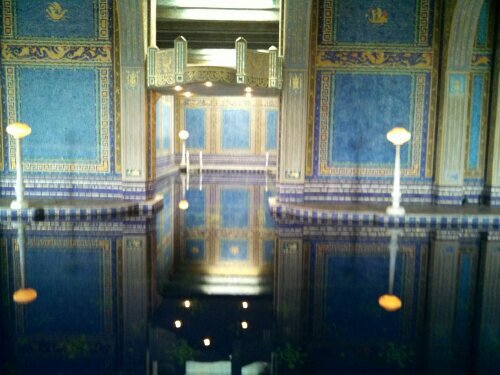 The other pool is the Roman pool, under the tennis courts. The leg inside a smaller room is the shallow end, the rest is deep. 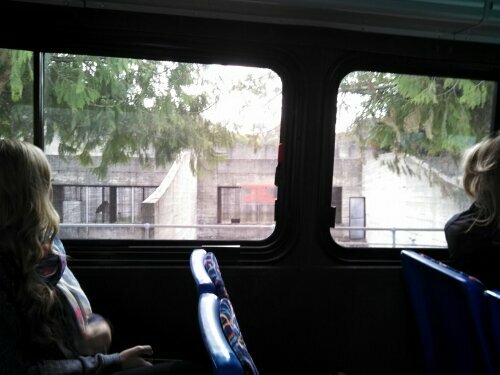 On the way down, we saw the zoo enclosures were the polar bears lived. These were actually advanced enclosures for the time, better than most zoos. 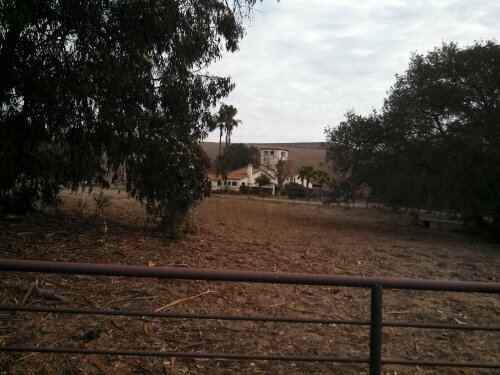 Most of the animals went to zoos like San Diego once Hearst fell on harder times. And one last shot of the landscape. Totally worth seeing. Not sure if the kids would care, because they don’t generally like looking at estates too much and would probably rather see an aquarium or the elephant seals we were told were on a beach a mile away. Eldest would like the castle, though. After that, we started home. We stopped at a gas station and Cadillac was pumping gas into the rented Kia when a man at another pump said, “Is that a Honda?” and Cadillac didn’t think he was talking to us, because people don’t usually chat at gas stations. The dude was very impressed, but in reality (if you were wondering about getting one) the Kia sedan isn’t too comfortable for long trips. My neck was really sore. Any break from regular routine is pretty relaxing, so I didn’t mind the quick trip. I was up in the middle of the night and reached over to read my mothers copy of The American Way of Housekeeping. Yes the original copy. I was born and raised in Japan. My mother was Japanese, my father American. So I googled the book and came across you! I will have to read your books! Yes you will!! Love that you have that book too.